If your not familiar with it, Avebury Henge is the largest stone circle in Europe. It actually consists of a large outer circle with two stone circles inside, dating back to Neolithic times in the 3rd millennium BC. Why it was built remains a mystery! 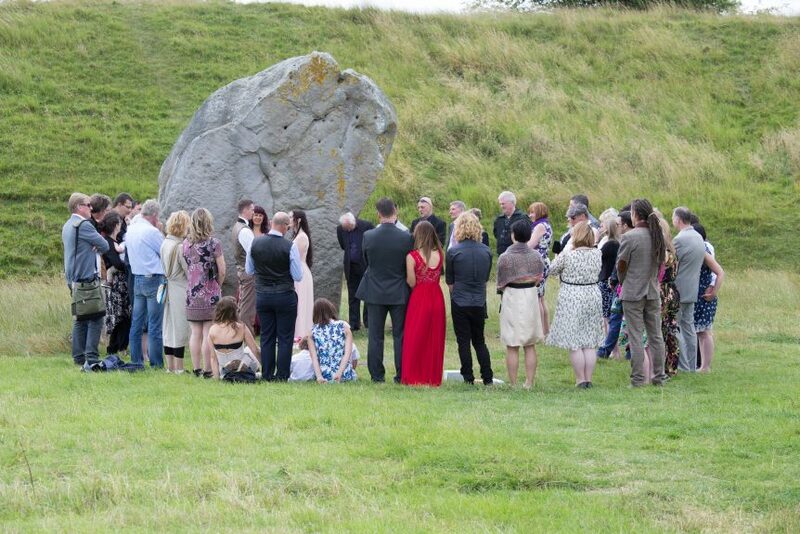 However, it was possibly for carrying out ceremonies through out the year much like its smaller sister Stone Henge. 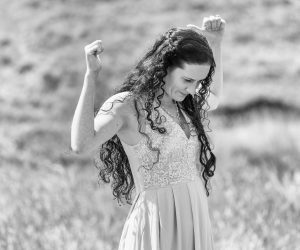 Last year I was lucky enough to photograph a wedding at Avebury, which was held around the stones on a beautiful summery day. 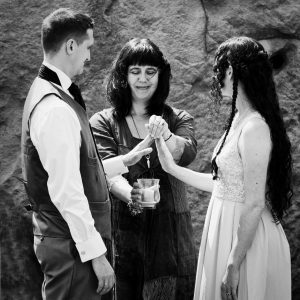 It was the first time I have photographed a Pagan wedding and I have to say the hand fastening ceremony was lovely to watch and photograph. 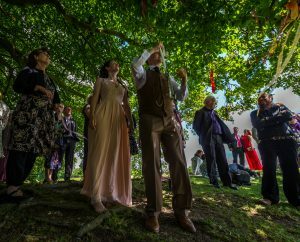 All the guests were asked to bring along a ribbon, which, after the ceremony were tied into a tree to bring good luck to the couple. 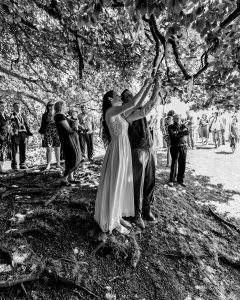 The tree was about a quarter of a mile or so walk from where the ceremony took place and everyone walked together enjoying the sunshine and wishing the happy couple well along the way. 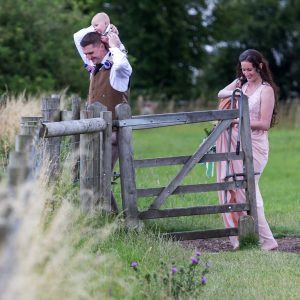 I think if it’s a Pagan wedding you want, then Avebury is probably as good as it gets with beautiful views in every direction. 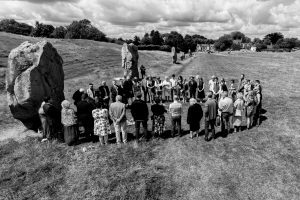 West Kennet, Long Barrow and Silbury Hill are situated 5 minutes away and there is so much history associated with the place. After tying the ribbons in the tree, the couple and the guests sat down on the grass to reflect on the day and lap up even more sunshine. 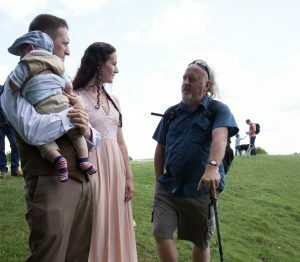 Bill Bailey had just finished his 87 mile walk of the Ridgeway for Cancer Research and stepped in for a quick photograph. 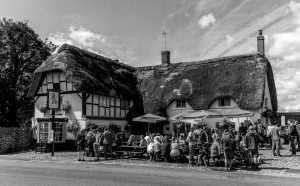 The newlyweds then made their way to the Red Lion pub for a pint or 2, before heading off to the reception.